The name, it has been suggested by Schiller-Szinessy, is taken from Deut. xxix. 24-27, "Because they forsook the covenant of the Lord . . . and went and served other gods . . . the Lord rooted them out of their land . . . and cast them into another land [ereẓ aḦeret] as this day." This passage is made to refer (in Mishnah Sanh. x. 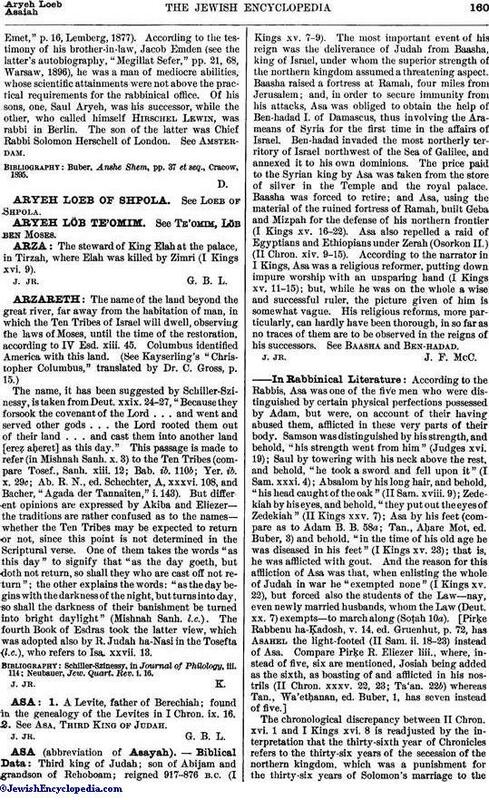 3) to the Ten Tribes (compare Tosef., Sanh. xiii. 12; Bab. ib. 110b; Yer. ib. x. 29c; Ab. R. N., ed. Schechter, A, xxxvi. 108, and Bacher, "Agada der Tannaiten," i. 143). But different opinions are expressed by Akiba and Eliezer—the traditions are rather confused as to the names—whether the Ten Tribes may be expected to return or not, since this point is not determined in the Scriptural verse. One of them takes the words "as this day" to signify that "as the day goeth, but doth not return, so shall they who are cast off not return"; the other explains the words: "as the day begins with the darkness of the night, but turns into day, so shall the darkness of their banishment be turned into bright daylight" (Mishnah Sanh. l.c.). The fourth Book of Esdras took the latter view, which was adopted also by R. Judah ha-Nasi in the Tosefta (l.c. ), who refers to Isa. xxvii. 13. Neubauer, Jew. Quart. Rev. i. 16.